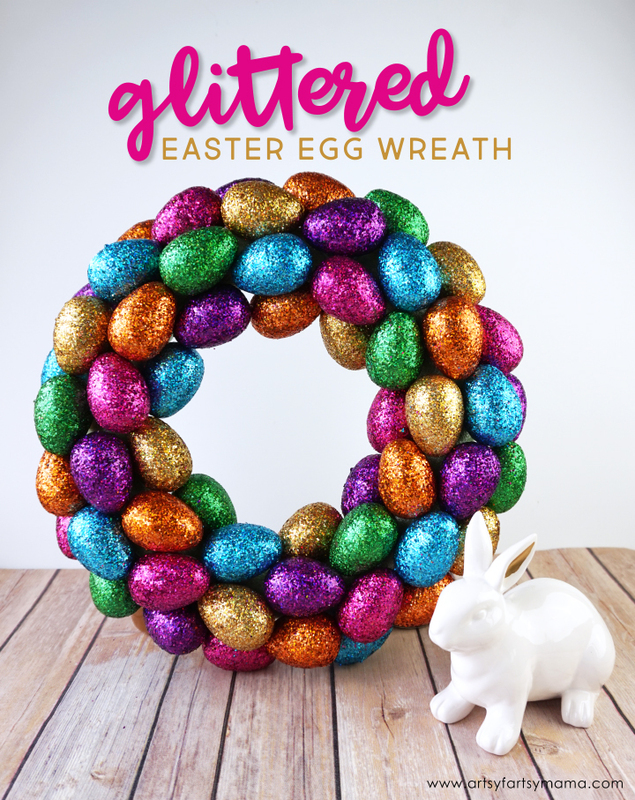 Decorate your home for Easter with this easy-to-make DIY Glittered Easter Egg Wreath! 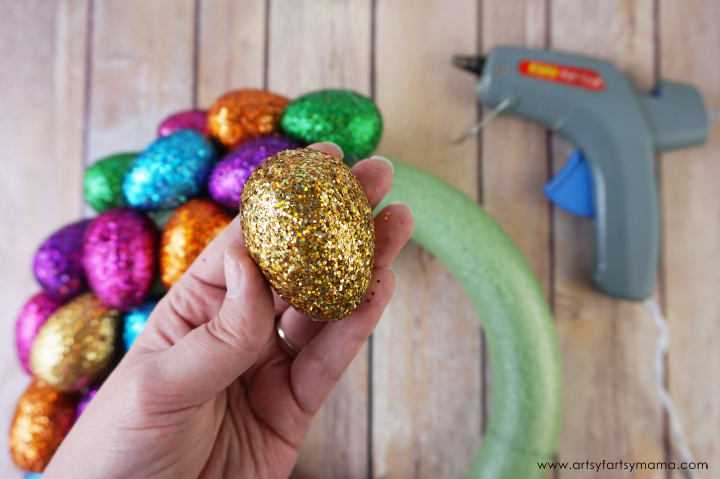 After doing a little Easter shopping for our upcoming family Easter egg hunt, I came across these glittery beauties and couldn't resist adding them to the cart. Instead of filling them with sweet treats and surprises though, I decided they needed to adorn my walls every spring instead in the form of a wreath!! Step 1: Hold the egg carefully in your hand and add a large drop of glue on the center of the egg. 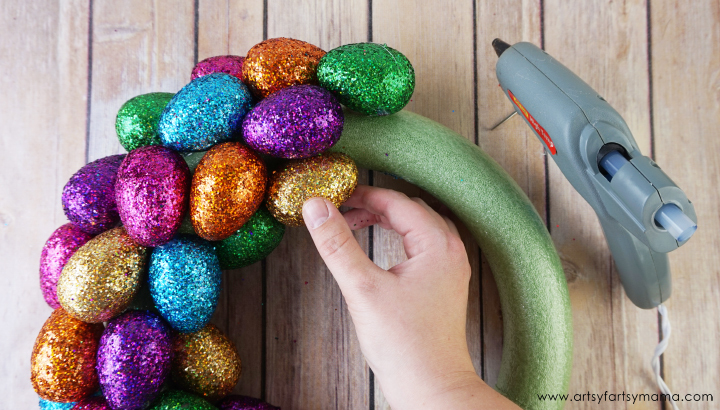 Step 2: Carefully place the egg on the wreath form and hold in place for a few minutes until the glue has set. 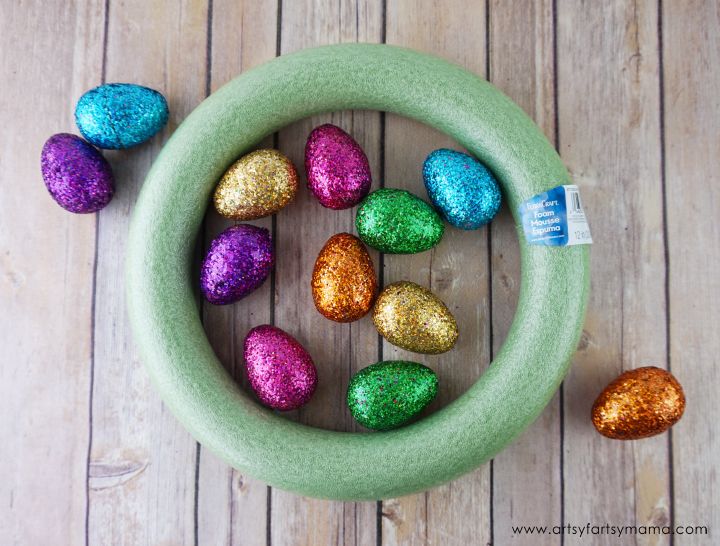 Step 3: Place the rest of the eggs close to each other until the wreath is covered. You won't need to cover the back of the wreath since it won't be seen. 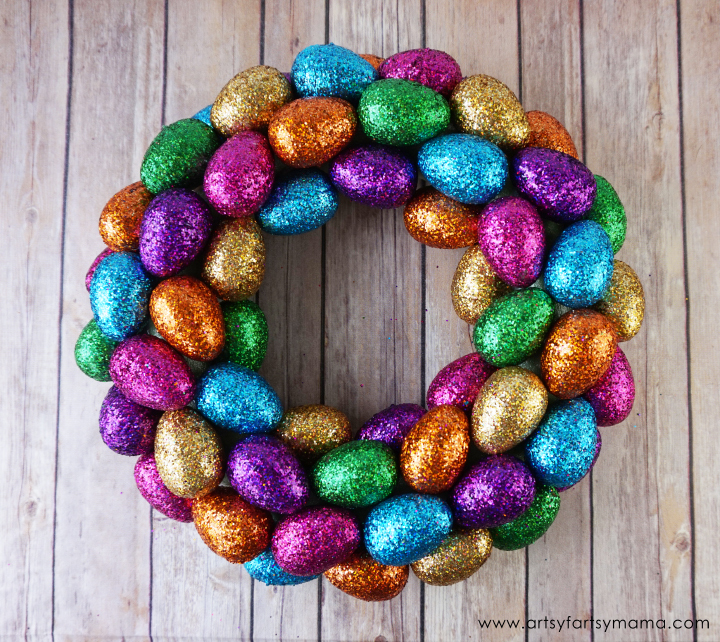 Step 4: Once the wreath is covered with sparkling eggs, you're done! You can add embellishments like ribbon or Easter grass, but I decided to keep mine with just the eggs. Glue a small piece of ribbon shaped like a "U" on the back to work as a wreath hanger. This wreath is so easy to make and doesn't take too long at all. It's a great crafternoon or girl's night project, but prepare to be covered in glitter when you're done! 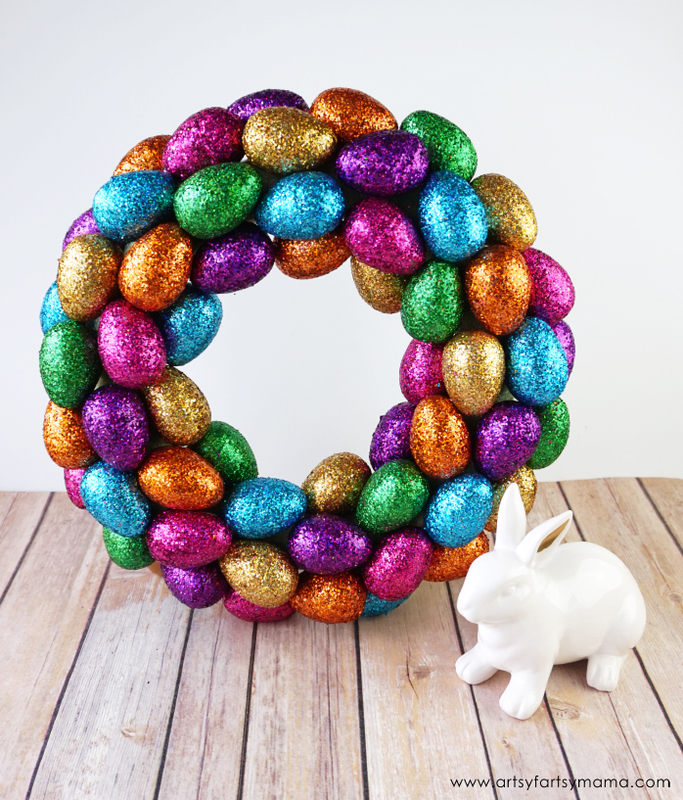 Obviously, the larger the wreath, the more eggs you will need. I also recommend putting on your favorite movie or binge-watching some Netflix while you make your wreath since the gluing can get a little monotonous after a while. Just watch your fingers so you don't burn yourself!! 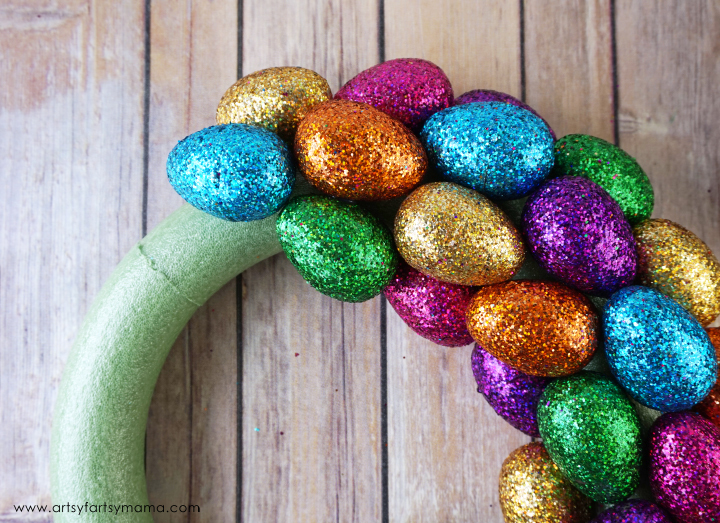 Hang the wreath on your door or walls, or stand it up on a shelf with your favorite Easter knick knacks and decor. I am absolutely loving this wreath and hope you do, too!